Sierra Verde SINGLE Story Arrowhead HOME! Stellar Shea Built 2,788 s/f home will not disappoint with SPLIT floor plan, 4 bedrooms & 3 bathrooms! PLUS the guest bedroom has an en-suite bathroom for your guest/teen! Master bedroom boasts of an additional sitting area, exterior patio door, garden tub & custom closet. Spacious formal living & dining room PLUS an open kitchen & family room make this ranch home perfect for entertaining. Custom shutters, granite countertops & tile/wood laminate through out. PRIVATE Pool & large extended patio w/ custom pavers make this extra large, premium lot ideal for relaxing & enjoying this beautiful weather. Lush vegetation, fruit trees, grass & gardening area w/ 2 sheds set this home apart. Directions: From 75th Ave & Deer Valley – Go East on Deer Valley to 73rd Drive. Right on 73rd Drive, Left on Melinda Lane, Left on 73rd Ave, Right on Melinda Lane, Home is on the left/north side. Approximate size: 10500.00 sq. ft. Please, send me more information on this property: MLS# 5878540 – $465,000 – 7214 W Melinda Lane, Glendale, AZ 85308. 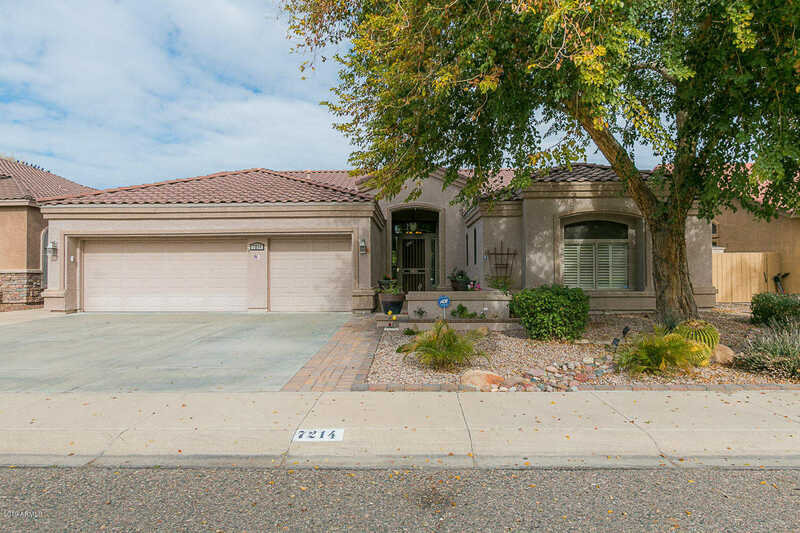 I would like to schedule a showing appointment for this property: MLS# 5878540 – $465,000 – 7214 W Melinda Lane, Glendale, AZ 85308.